Isn’t he (or she) cute? For me, few things beat heading out with my camera and seeing what I can find. It’s a great way to see nature, keeps you in tune with seasonal shifts and the timing of biological events, and sometimes you’re lucky to see something amazing. Like a groundhog 8 feet up a tree. That I didn’t get a photo of. Because I had my camera zipped up inside it’s carrying bag rather than in my hands when I wandered over to the area where I keep seeing groundhogs. However, struggling to get my camera out for the groundhog means that I got a shot of this little guy moments later when the groundhog scampered away. It’s no groundhog in a tree, but I was still happy to see it. It was ghastly hot and late in the day, so a few of the teachers wilted a bit in the heat, but it was still a ton of fun. Plus, they were the first group that has ever found more native ladybugs than non-native ladybugs at our field station. I hope their results will be repeated with other groups! Their data are headed to the Lost Ladybug project next week so it can be used in a variety of studies looking at the distribution of ladybug species and the interactions between native and non-native ladybugs. I’ll work with this group again next week, with dragonflies next time! 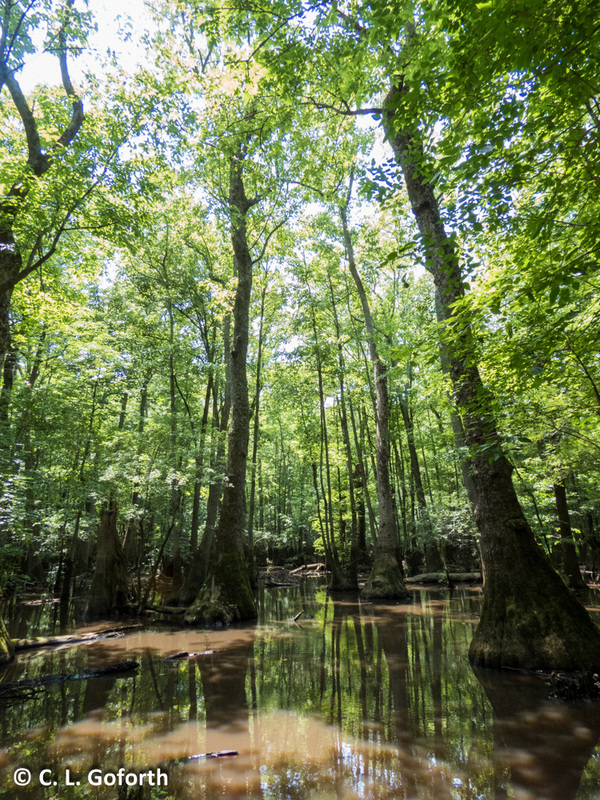 If you haven’t ever seen a swamp like this, I highly encourage you to make a trip to see one! They are amazing, biologically rich wonderlands. 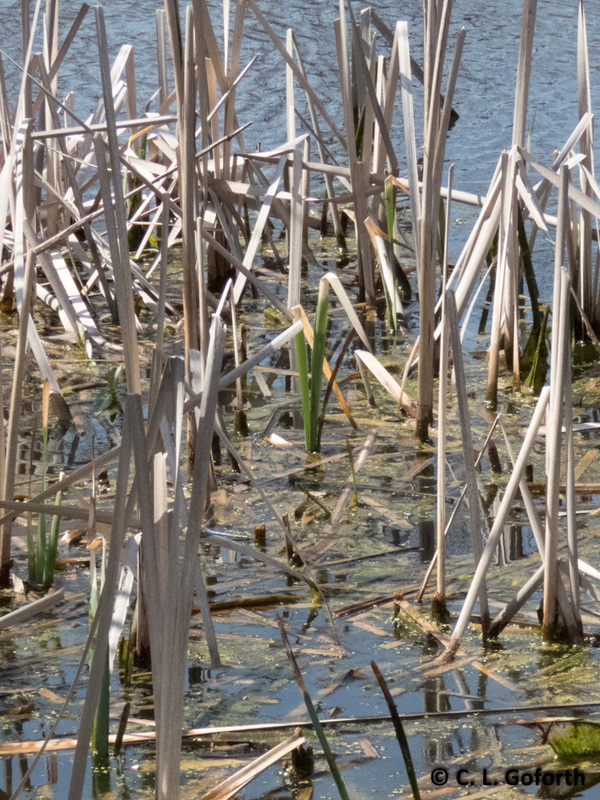 The number of dragonflies flying around at this location was spectacular! A lot of the teachers got photos of many of the species we saw and I’m looking forward to uploading them to our biodiversity project. 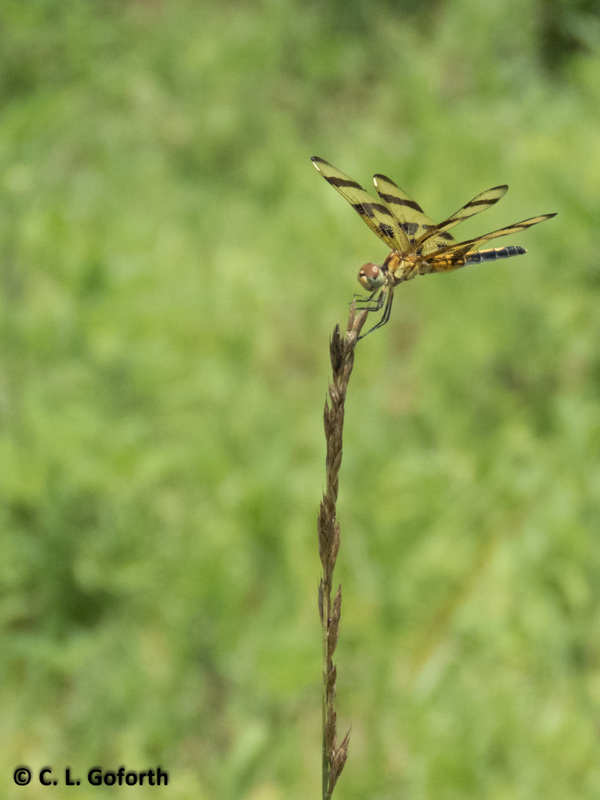 I also finally got to see a swamp darner in nature. I was in the middle of talking to a group of teachers about a tree they were interested in when I saw it so I didn’t get a photo, but I was still thrilled to check it off my list! All the kids swooped in with their iPads when I picked it up, venturing out into the hot sun so they could see it. At one point it jumped energetically off my hands onto the iPad of a kid who was photographing it. 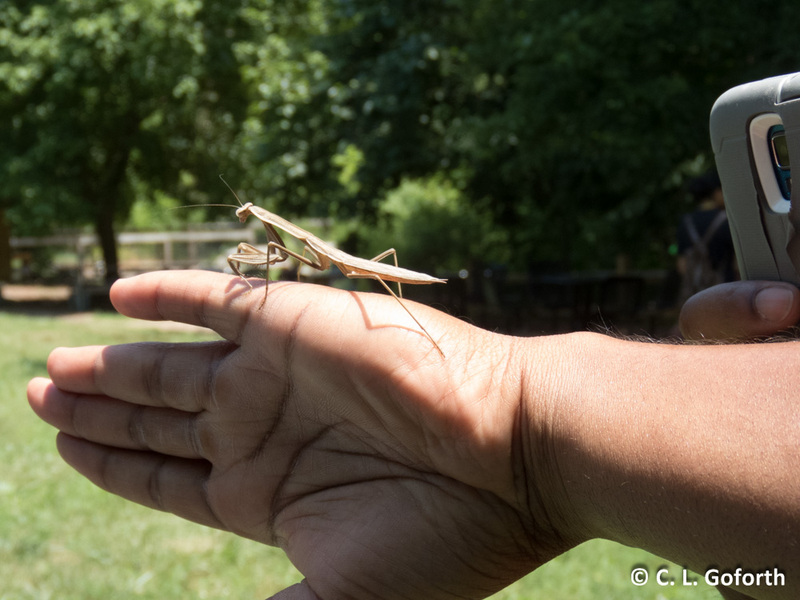 Scared the frass out of the kid, but he held it together long enough that he neither dropped the iPad nor crushed the mantid before I had a chance to take it back. I was rather impressed by the kid’s ability to manage his fear. Many of the other campers would have screamed and dropped the iPad if the same had happened to them. 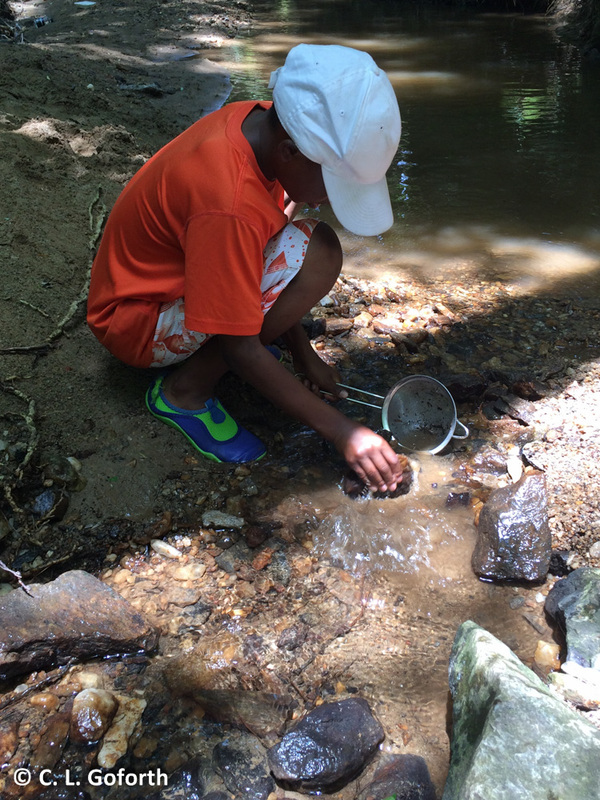 And finally, yesterday meant another afternoon in the blissfully cool stream with the summer camp! 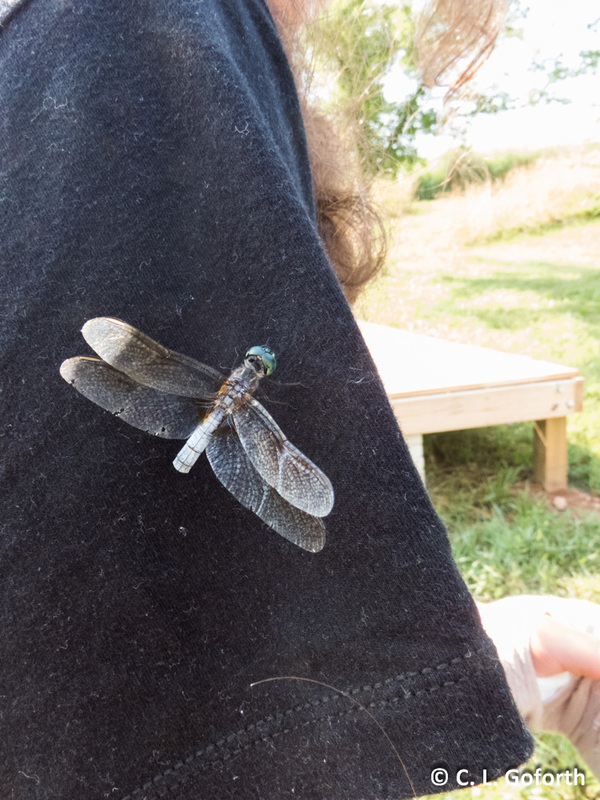 This boy was far and away the best insect hunter of the campers this week. While his campmates were splashing around in the deeper water to avoid doing what we were actually there to do (looking for insects to assess the water quality), this kid was flipping rocks and sampling riffles and stirring up the substrate to find as many types of insects and other invertebrates as possible. 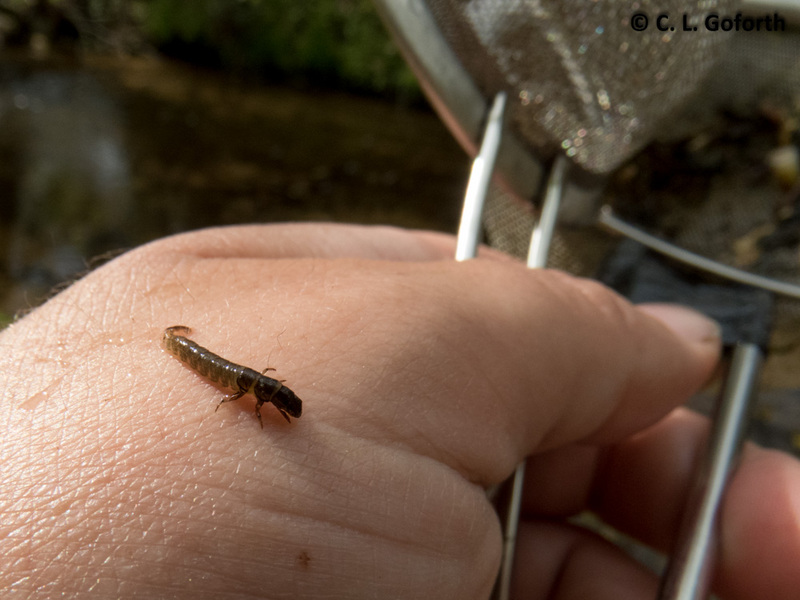 The stream doesn’t have many species in it, but he ended up finding most of the ones we know are in there: three types of caddisflies, riffle bugs, water striders, and crayfish. We did also find one new thing, a damselfly in the genus Argia. 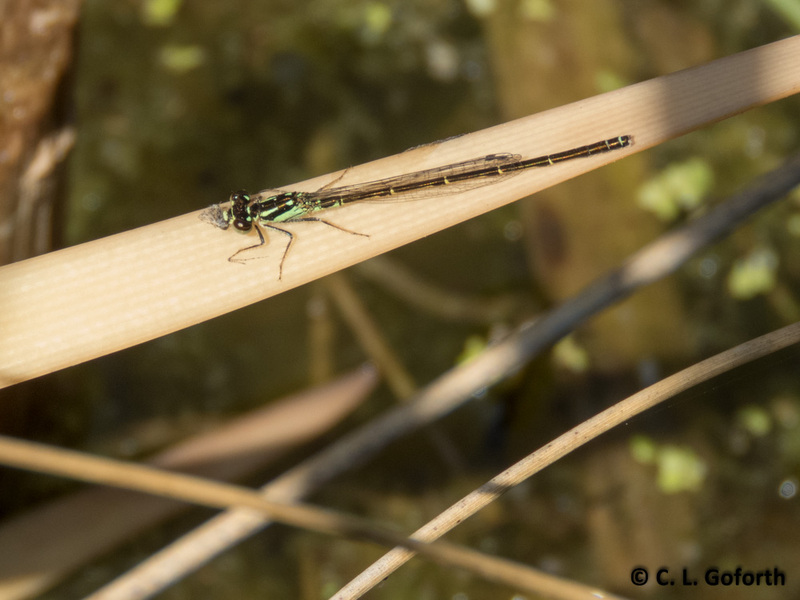 I’ve never found a damselfly in that stream that wasn’t an ebony jewelwing, so it was very exciting to hang out with a really happy kid and make new insect discoveries together! And with that, I begin my weekend! Anyone want to share an insect encounter they had this week that made you especially happy? 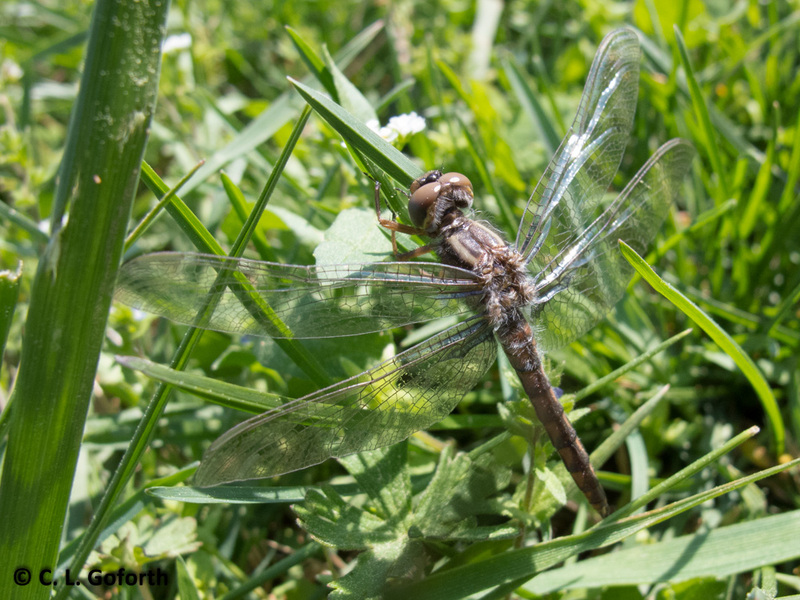 The swamp darner was my highlight, so I’d love to hear about yours! 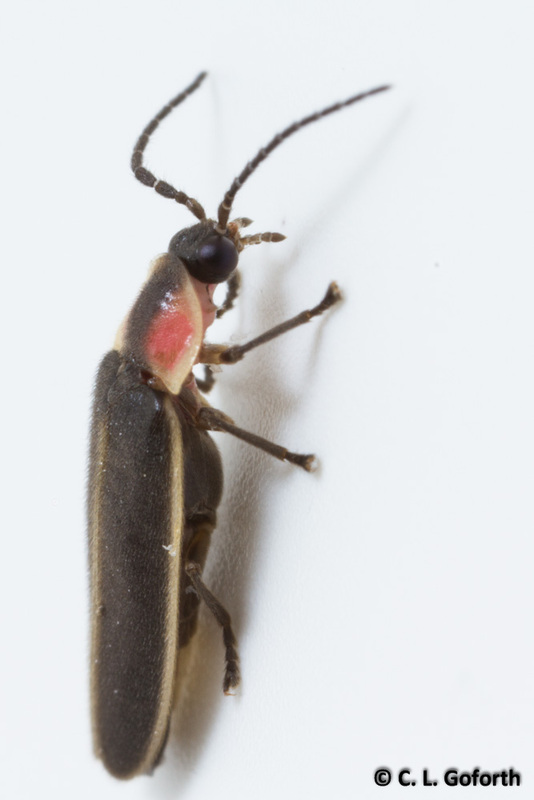 These are far and away the most common fireflies I see at my home and at work. They are about 1 cm long and have a lovely pink and black patch on their thorax, plus they make an awesome yellow-green J shaped flash pattern that’s really easy to see. They don’t feed at all as adults. I am still ridiculously excited about running around in my yard catching these and do so at every opportunity. My neighbors probably think I’m crazy, but I don’t mind. I found it under a leaf on a bigleaf magnolia tree. It was actually a little hard to find, a tiny firefly on a HUGE leaf! 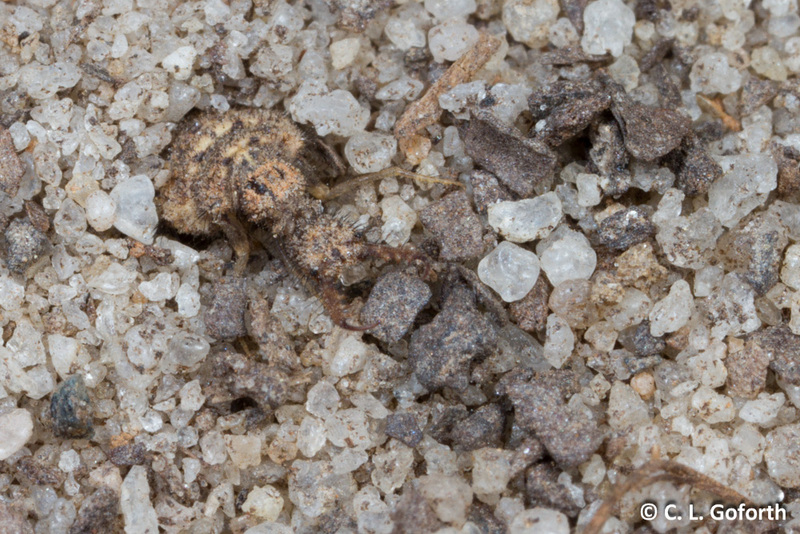 I never got to see it flash, but given the difference in size and the pattern on the thorax, I am fairly confident this is another species and not just a really runty P. pyralis individual. 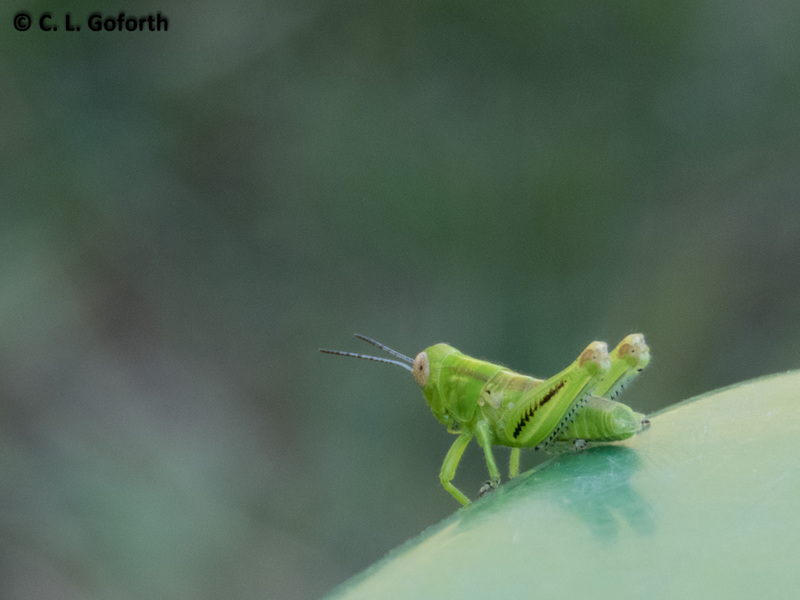 I know I shouldn’t make up insect conversations in my head, but really, how can you resist? Now when I found this individual, I only had one collecting vial with me and it already had a Photinus inside. I thought that surely I could put the two of them together for a few minutes during the day without them eating each other, right? 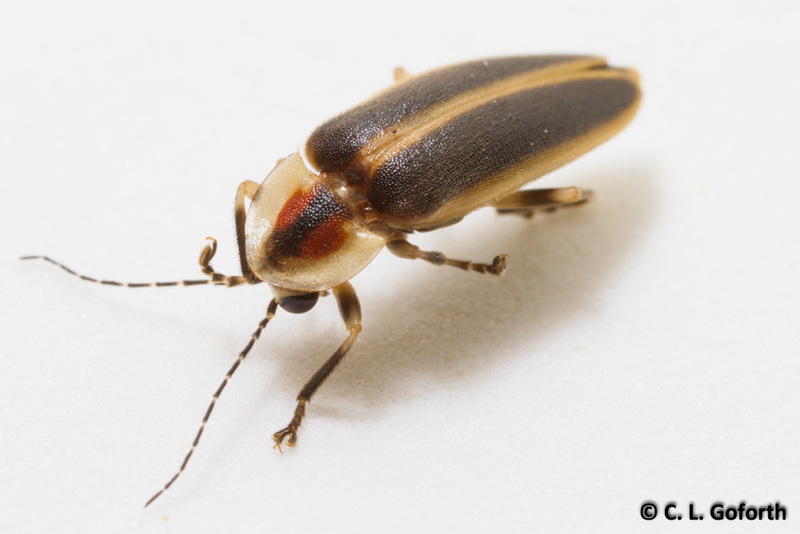 Next thing I knew, the Photuris was biting the Photinus! I wanted to show both off when I went on the news, so I ran back to my office for another vial and pulled them apart. The Photuris took a big glob of fluid with it when I got them separated and quickly ate it all. The Photinus seemed just fine though, in spite of having a rather large amount of fluid removed from its body, and they both went on to become media darlings on the news. This is 14 somewhat long exposures stacked to create a single image. The flash patterns in this photo are far and away the best I’ve gotten, so I’m encouraged to try again and see if I can improve upon this at my next opportunity. Are any of the rest of you seeing fireflies? 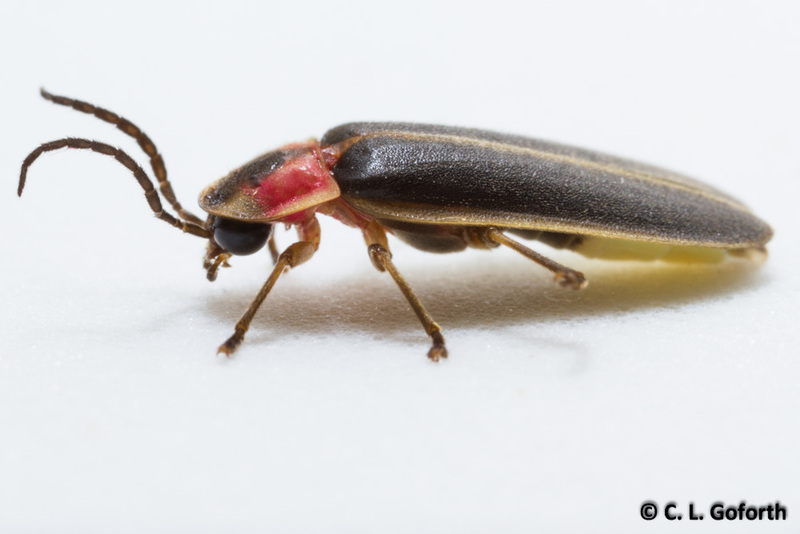 A cousin of mine in the midwest mentioned last night on Facebook that he’d just seen his first firefly of the year, so I’m hoping there are lots out and about and many of you are getting a good show this year! And with that, I go to sleep so tomorrow I can teach an unknown amount of people about ladybugs and citizen science at a big event we’re having at work. Could be 5 people, could be 1000. Should be fun regardless! A few months ago, I posted a series of photos for Friday 5 that depicted the development of aquatic snail eggs. 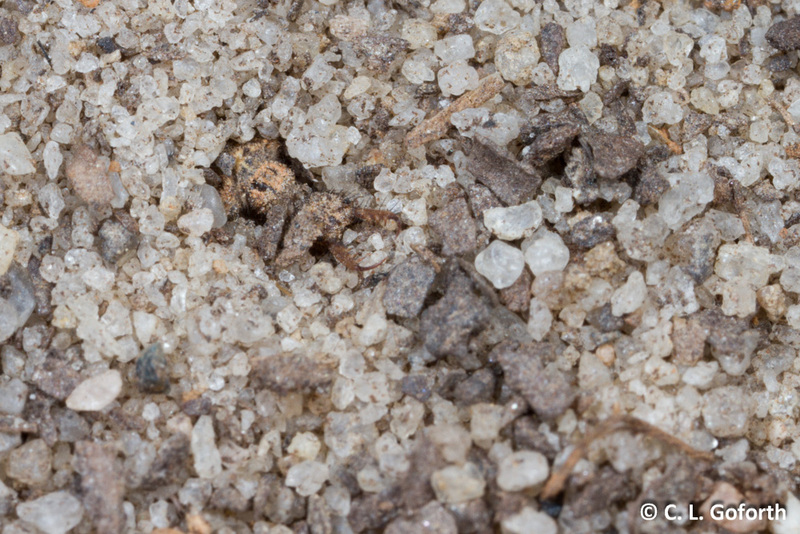 In addition to the two species of snails I had in my tank at the time were a bunch of backswimmers in the genus Notonecta. 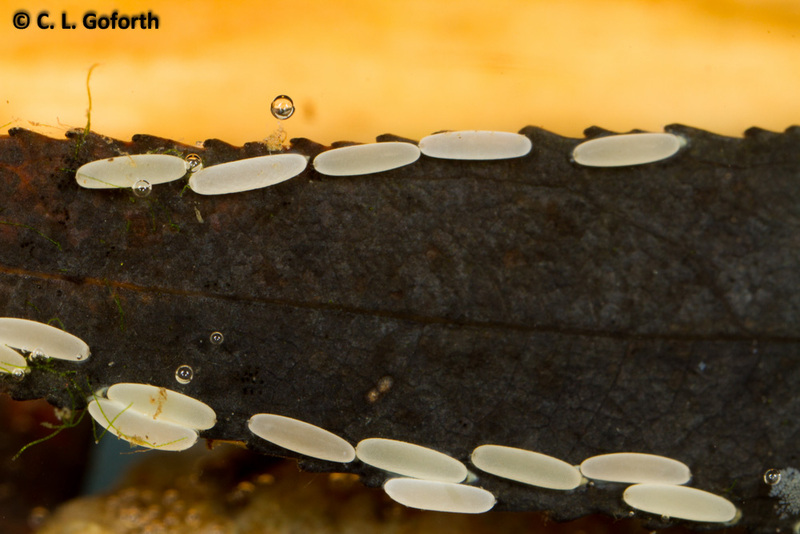 The morning after I put them in the tank, I came across a bunch of what could only be backswimmer eggs attached to a leaf, so I started photographing them. 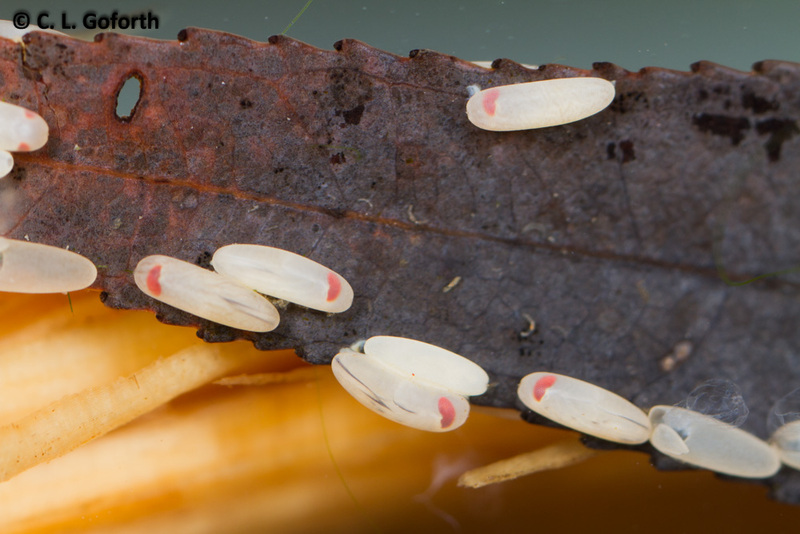 I thought their development was fascinating and spent a little over two weeks watching the snail and the backswimmer eggs to see what happened. Today I give you the Notonecta part of the story! This photo isn’t as well focused as I’d like, but it illustrates two things. First, the structure of insect egg shells is absolutely stunning! All of that patterning mirrors the cells that laid down the chorion (= the insect eggshell), so you’re effectively looking at structure of the mother’s internal organs when you look at an insect chorion. 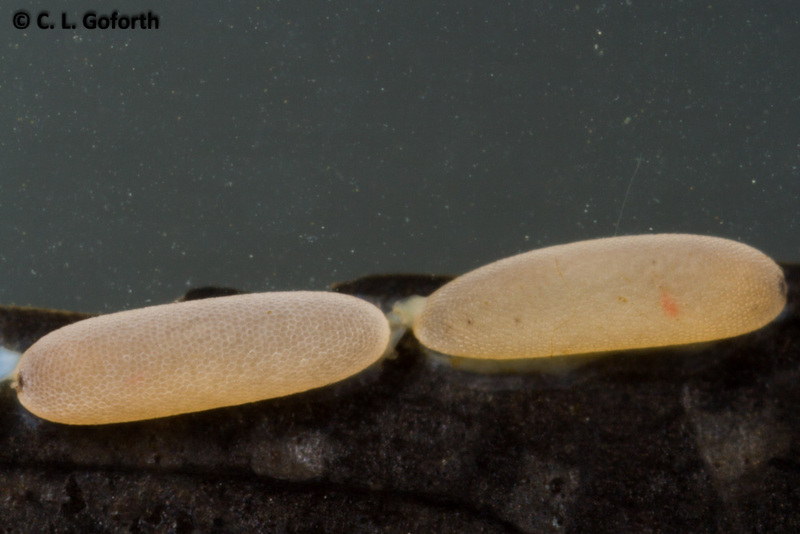 In both eggs you can also see some faint red markings, more distinctly in the egg on the right. Those red patches are the developing eyes of the backswimmers, so you can see which end is the head and which is the tail. 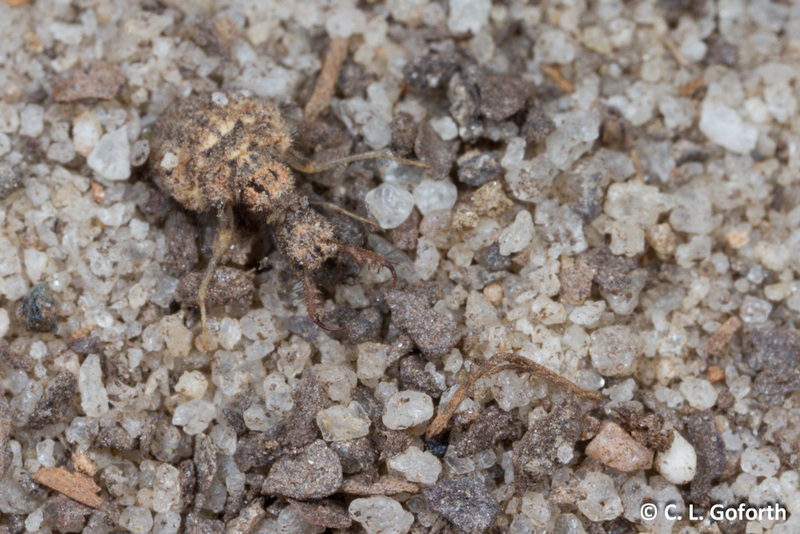 What was previously a little cylinder of bug goo had turned into the start of a baby insect with clear evidence of the changes visible without dissecting the egg in just a few days. 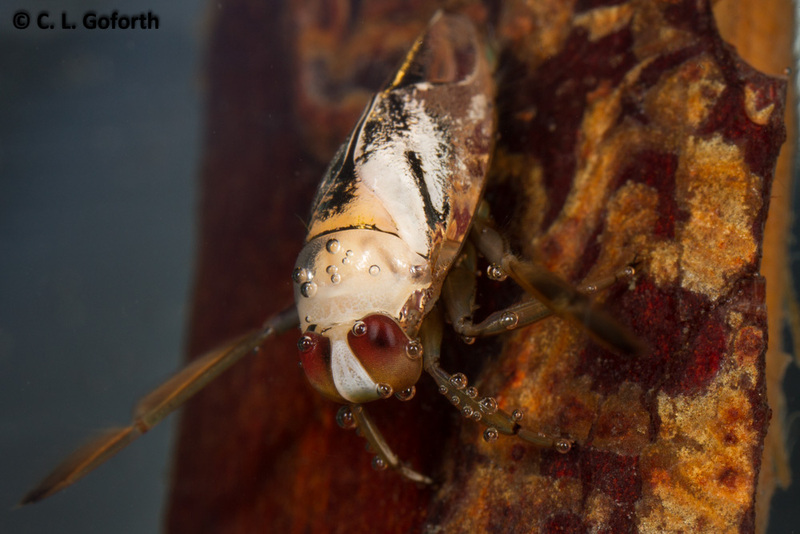 The red eye patches had taken on the shape of backswimmer eyes by this point. You could also see some black markings within the egg. The bugs inside were clearly further along than they had been. 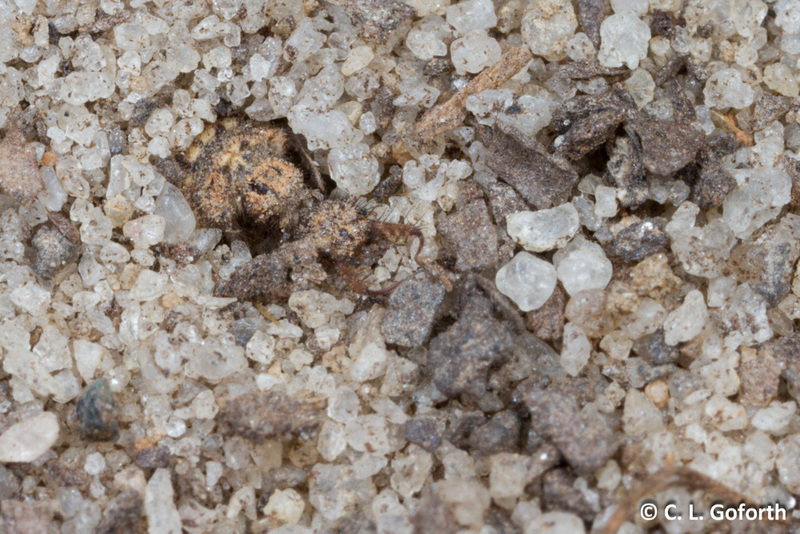 You could also easily spot the eggs that were not developing and were never going to hatch at this point. The egg on the left side of the image was having problems and wasn’t developing properly – it has no eyes or any black patterning visible. It never hatched. You can’t see it very well without enlarging the photo (click to enlarge! ), but you can see the outline of the plates on the upper surface of the thorax, the legs, and that the black markings are part of the legs. 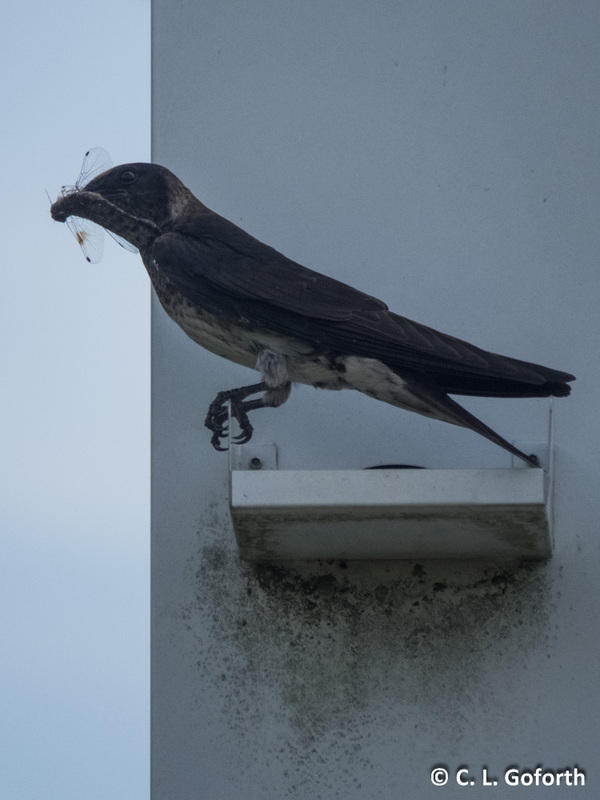 By this point, the eggs were two and half weeks old and a few had hatched. The empty chorions in the lower right corner highlight the cap of the egg the nymph inside popped open to emerge from the egg and a membrane that lined the chorion. 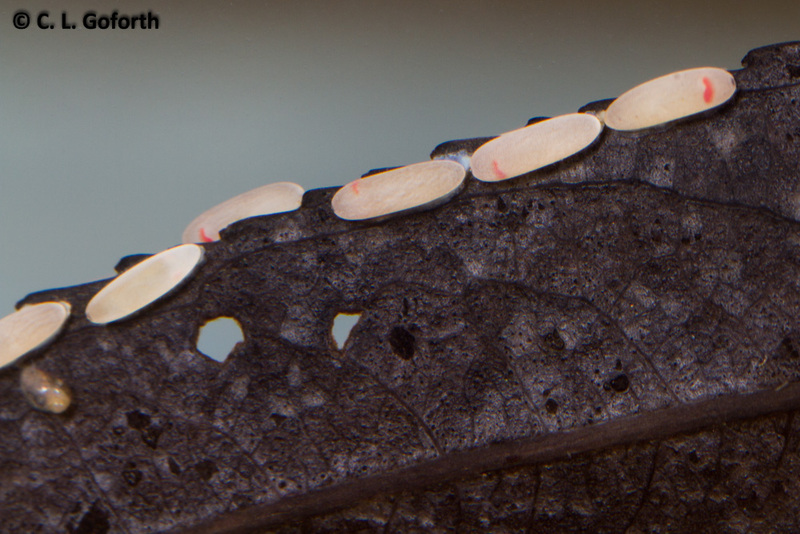 The eggs in this image hatched over three days (if they hatched at all), so they seemed to have some variability in their developmental times. The coloration becomes a lot more complex, they gain wings, and their bodies elongate relative to their width as they age. Check out those gorgeous eyes on the adult! 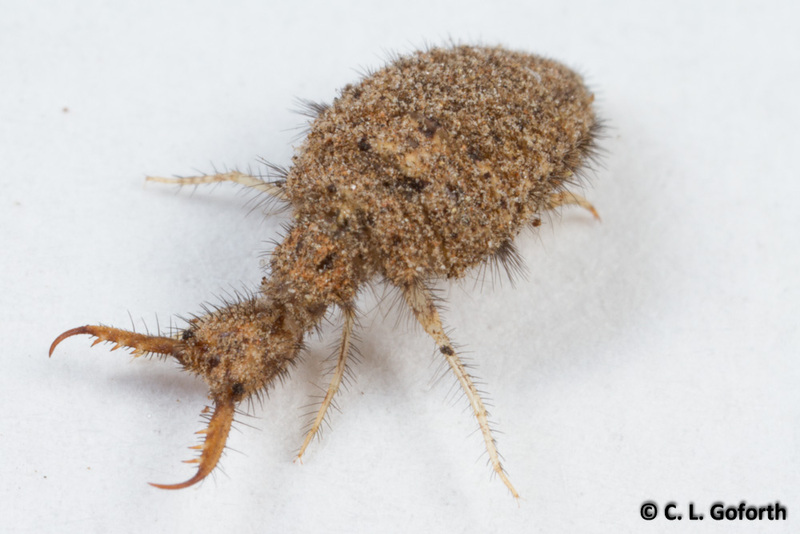 And, these insects are fairly large, about 1 cm, which means that they have to grow a lot to become adults, and they do it very quickly. 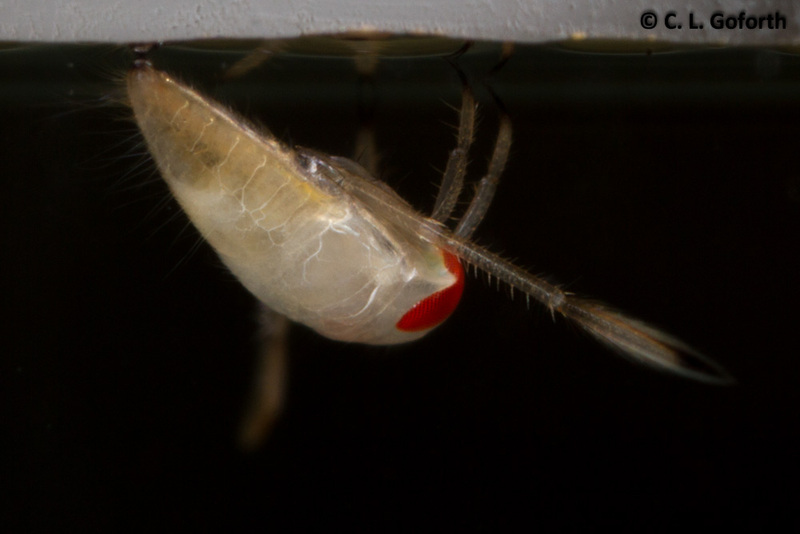 That tiny nymph emerges from the egg and molts just 5 times before it becomes an adult, which means massive growth spurts each time they molt. 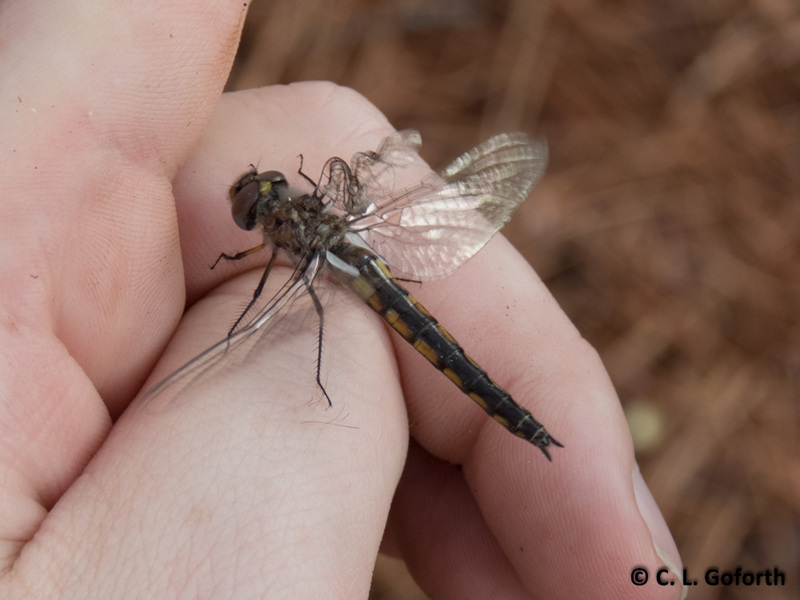 A few weeks ago, I was given a really fun opportunity to be a part of a bioblitz workshop. 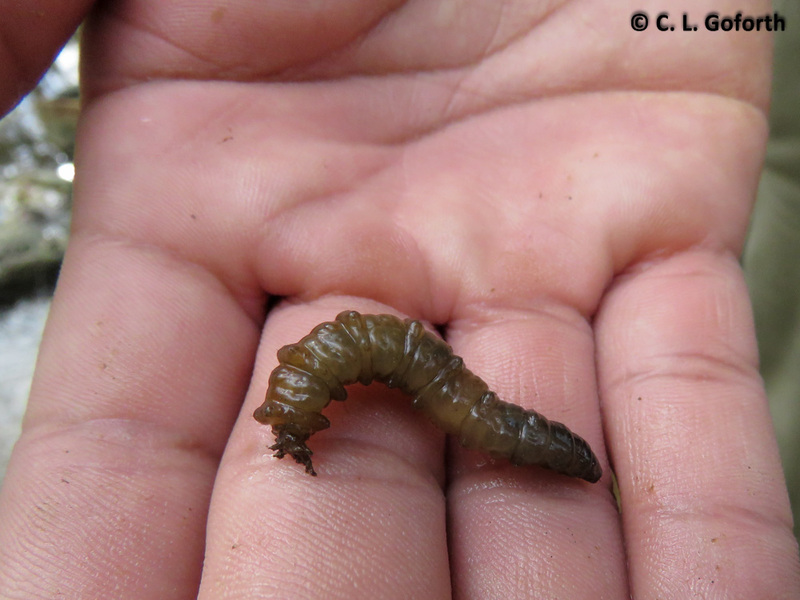 Bioblitzes, for those unfamiliar with them, are biodiversity documentation events, often done over a short time period and at a specific facility, to document and/or monitor the species present on the grounds. 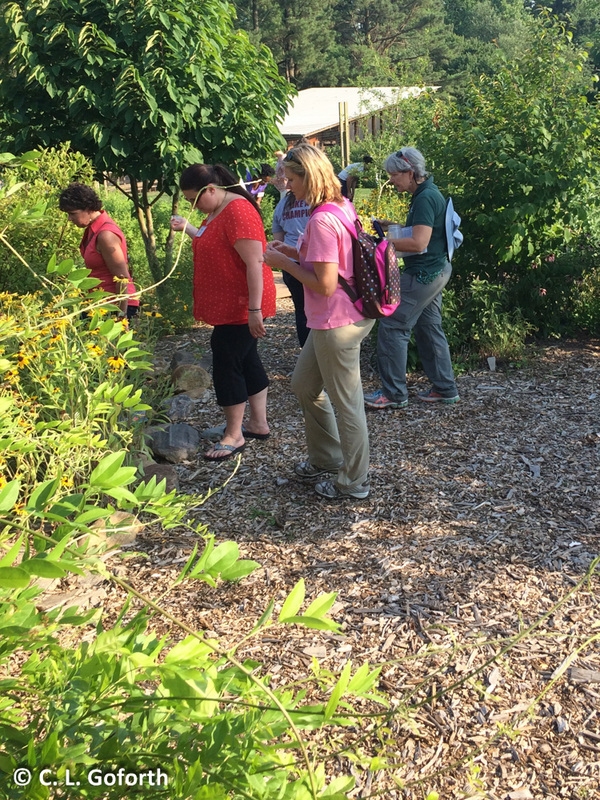 Bioblitzes often invite the public to take part as a way to get help collecting and identifying species while also teaching everyone about local natural history. The workshop was geared toward park and environmental education center staff that are interested in using bioblitzes to make sound management decisions and/or educate the public. A variety of scientists demonstrated how to collect or otherwise document a range of species, including reptiles and amphibians, small mammals, large mammals, birds, plants, and insects. 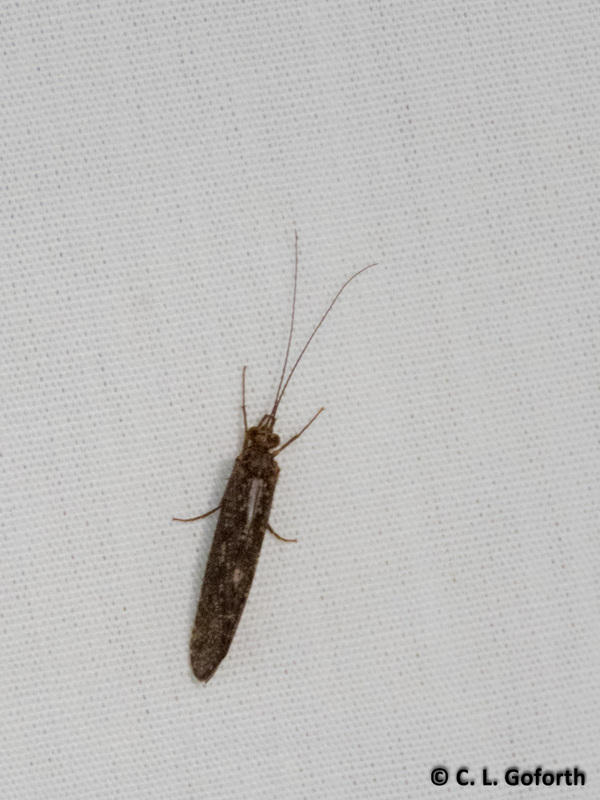 This little guy was hanging out on a blacklighting sheet, presumably in the same spot it had sat the night before. 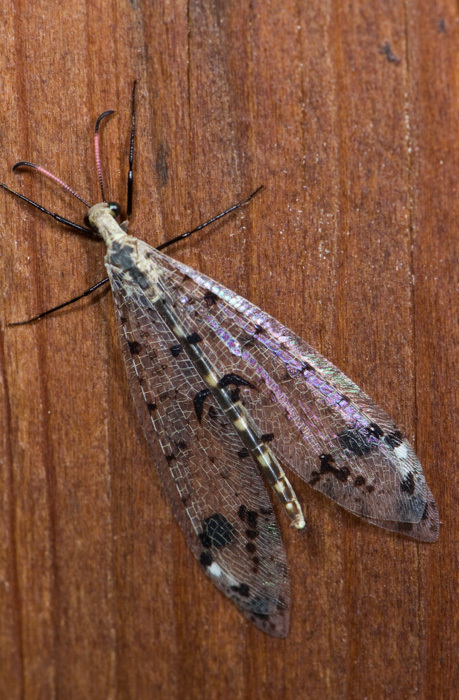 Caddisfly adults look a lot like moths, but instead of having scales on their wings they have hairs. Their order name, Trichoptera, means hairy wing, so it’s easy to remember this distinguishing characteristic if you know your roots. 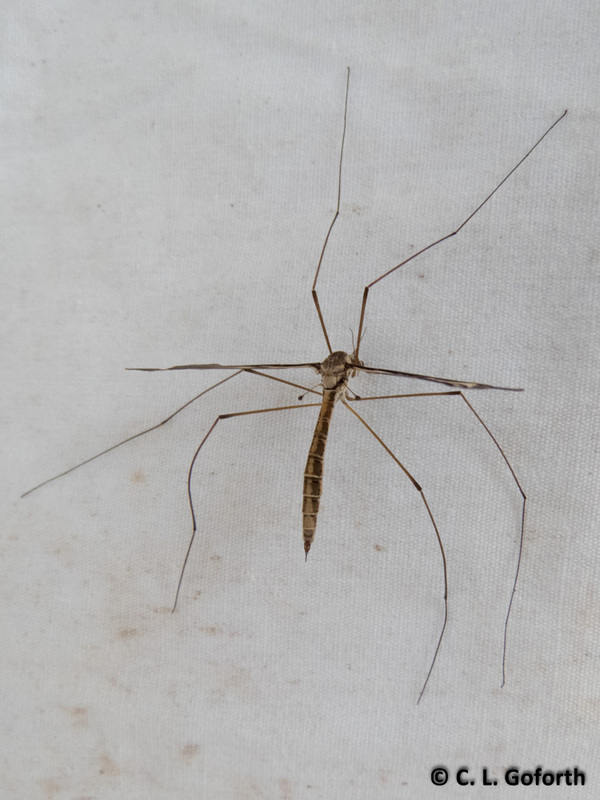 I know I’ve said it before and I’ll say it again: crane flies are harmless to people! A lot of people are scared of them and many think they bite, but they do not. 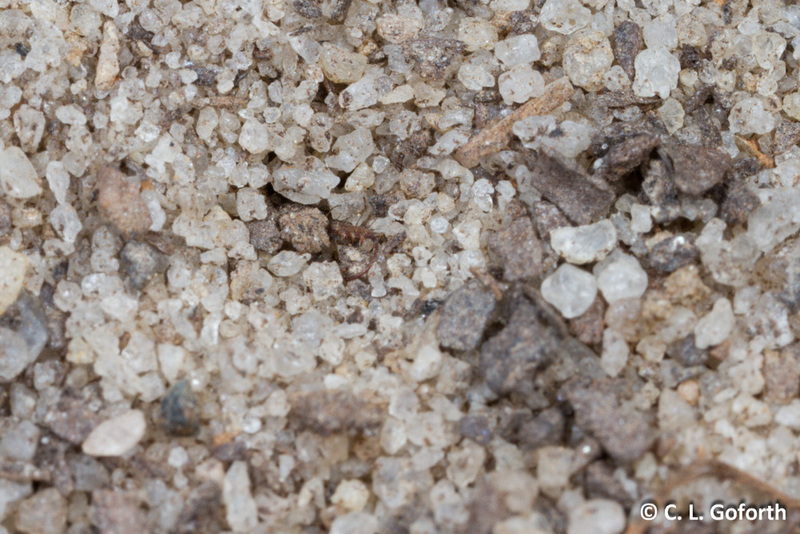 They’re also not giant mosquitoes – completely different groups! I think they are really beautiful. 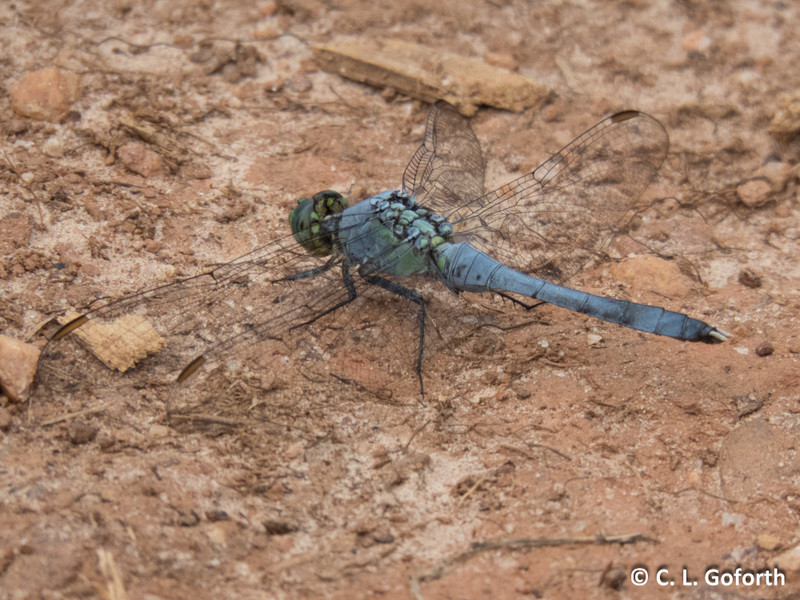 There weren’t a lot of dragonflies out during the workshop as the dragonflies were really just starting to come out, but one of the reptile and amphibian guys found this dragonfly on the ground. 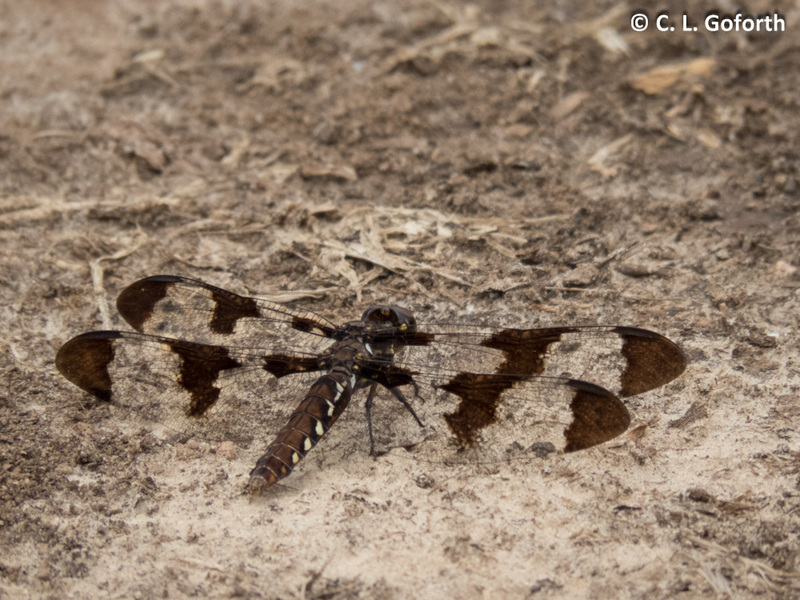 It was still alive, but clearly had some issues when it emerged as an adult and I doubt its wings worked. Granted, I have seen some butterflies flying with as little as a wing and a half, so who knows? 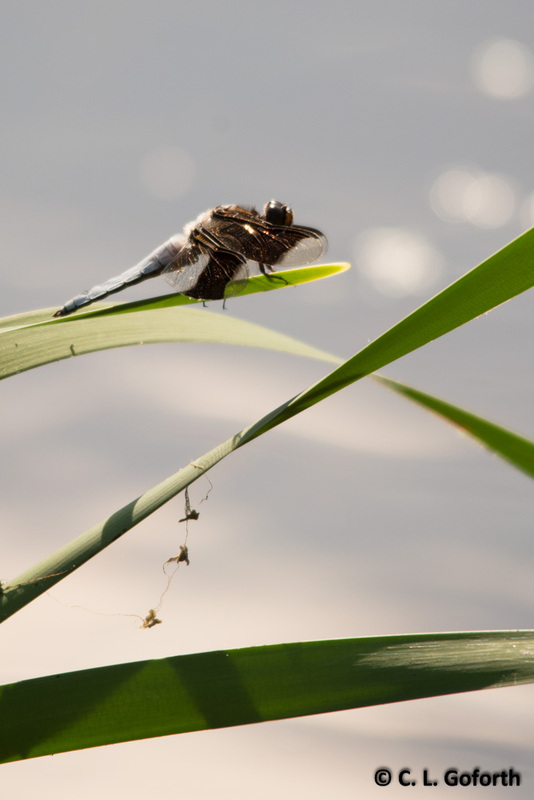 Maybe this little dragonfly is still zipping around the pond, hunting insects and having a great adult life! Even though I’ve participated in enough bioblitzes and done field work with enough scientists that I didn’t learn many new things about how to sample for a variety of organisms, I still had a great time at the workshop! The people who attended were really excited about it all, so it was a lovely, energetic group. 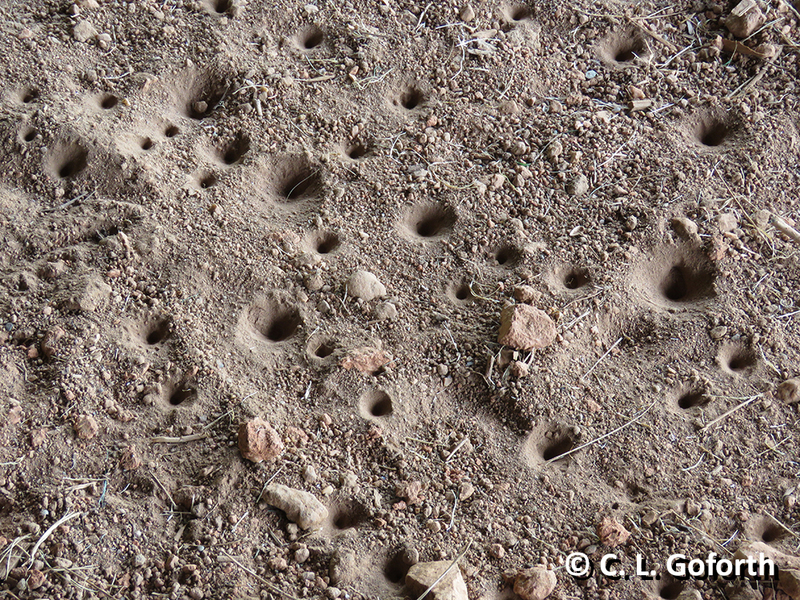 I also got to see a white-footed mouse, a great horned owl, several turtles and frogs (including a new-to-the-park’s-species-list river cooter), a new-to-me dragonfly species, and a variety of insects. Plus, I got to spend an afternoon in a stream teaching people about aquatics! It’s hard to beat a day spent with other nature geeks. Hope I get to do it again soon!